What is the 5Ways Academy Select Squad? 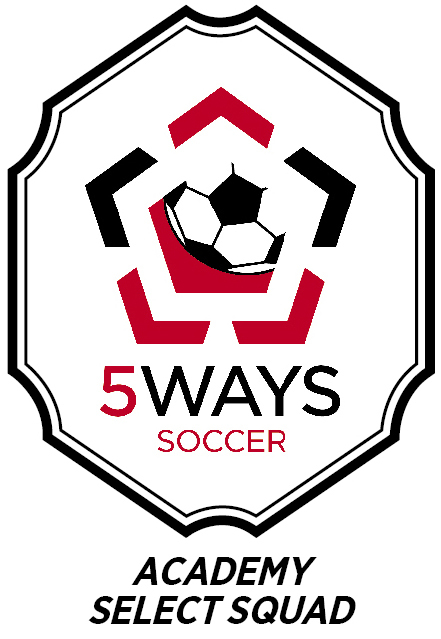 5Ways Academy is the section of the Soccer School that coaches older children that have graduated out of the Mini Soccer Format and are moving into the 9-a-side and 11-a-side formats of the game. The Academy Select Squad gives the most promising and advanced level players in these groups the opportunity to play alongside one another in a variety of competitive match scenarios against a strong standard of opposition outside of Sunday League competition. Players for each fixture are selected based on their performance, attitude and attendance at 5Ways Academy Sessions throughout the year. To avoid clashes with Sunday matches and other club commitments, fixtures will be spread out throughout the year and these will include academy matches against strong local league opposition, national tournaments run by top professional league clubs and one off games against invited select teams. The aim of the Academy Select is to give the best players at the Soccer School the platform to play alongside and against other strong footballers and put into practice the advanced skills and techniques they are being taught in the 5ways Academy in accordance with the “Take it to the Game” aspect of the 5Ways philosophy. Each fixture will allow our coaches to create a more competitive environment to help teach aspects of the game such as team shape and function, the interrelationship of team members, how to play pass and move possession football and how to defend using both high pressure team defending. 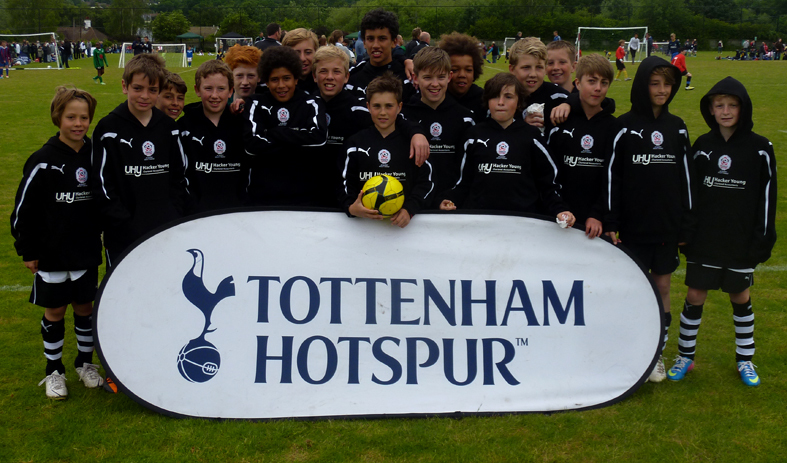 By entering national tournaments and competitions we also hope to provide your child with exposure to professional clubs and scouts. How often do the 5Ways Select Squad play? The number of fixtures played by 5Ways Academy Select team will vary throughout the year and is dependent on the availability of the quality opposition we will be looking to invite. Our aim is to have at least one 11-a-side/9-a-side fixture per course and to partake in high level small sided tournaments throughout the Summer months. How can my child get picked? 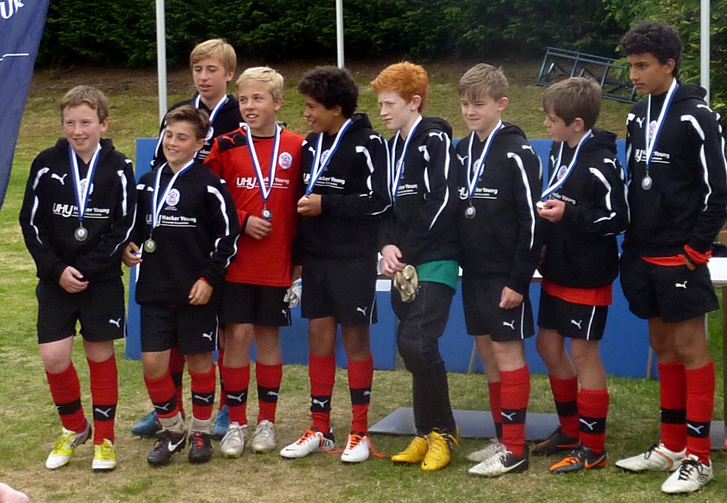 Your child simply needs to be in the U12-U14 age category and to turn up regularly to our academy sessions and impress. In order to represent the Academy Select Squad it is not just about being the best player. Positive attitude and commitment are also at the forefront of the selection process so it is a combination of all three attributes that will be required to gain a place. Everyone at 5Ways Soccer would like to thank UHY Hacker Young Chartered Accountants for their fantastic support with the Academy Select Squad teams.